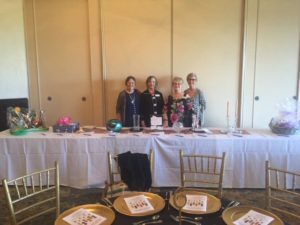 Our Fashion Show/Luncheon fundraiser held at Glen Eagles Country Club this year was a great success. 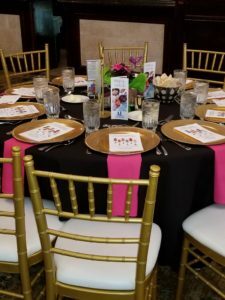 This event raises funds that provide new clothing and hygiene kits to elementary school children in need at seven Collin County school districts. Funds raised also support philanthropic projects for the elderly, the homeless, the grieving and the hospitalized. 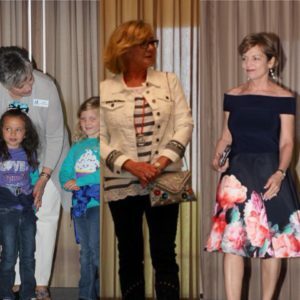 It was a fun-filled afternoon that included a fashion show, silent auction, and a rousing game of Heads or Tails. We are so grateful to our underwriters for the event, Brenda Harris of Global Atlantic Members Financial Group and Steven Dawson of Dawson Private Wealth. Our thanks also to members of our Advisory Board who were in attendance, Reva Bartlett, Sally Magnuson, and Bobbi Otto, wife of Advisory Board member Dr. Doug Otto. The Fashion Show clothing was provided by Pappagallo Classiques, The Girlfriend Boutique, Allen, Texas. It truly takes a village! Assistance League Greater Collin County is grateful to each and every one of you. Thank you one and all!